Hi there! 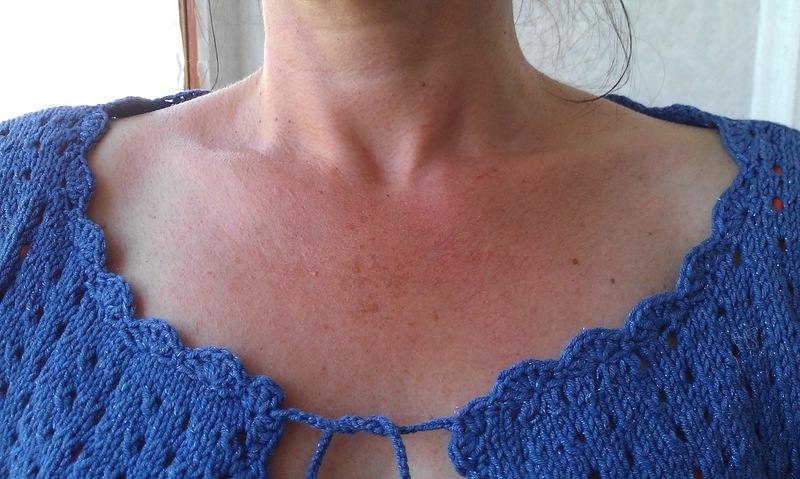 It's time to share a little handmade project - knitted bolero with crochet decoration. 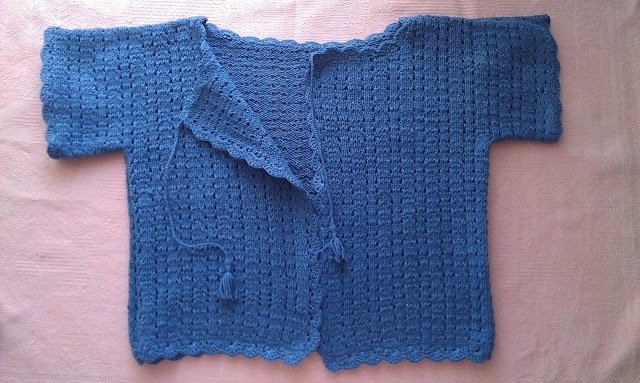 My mother knitted it for herself and asked me to help her with crochet edging and some crochet accessories. 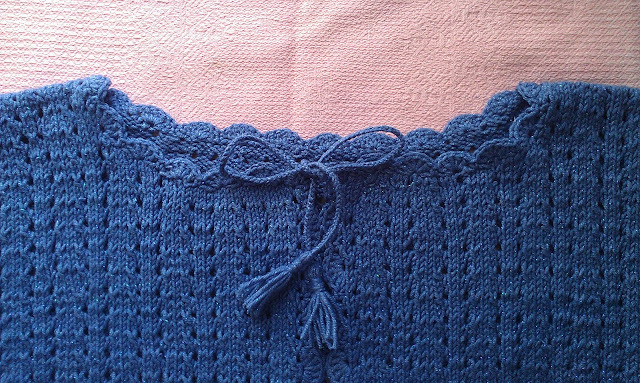 I was looking for a proper edging pattern for a while and decided to stop on this simple one, that is called shell edging, to keep accent on the knitted pattern and not to overdo it. If you'll decide to try it out, here are the instructions. Repeat actions between * until you reach the end of your pattern. Another little details, that I've added to the bolero were crochet drawstrings with tassels at the ends. The drawstrings are just a single row of chain stitches. 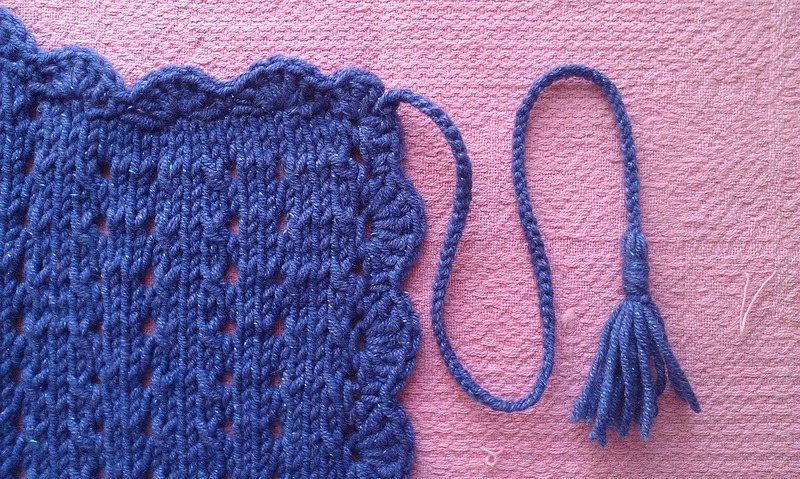 And the tassels are made according to this tutorial. As for me it looks better now. What do you thinks? Here it is on the happy owner. Sending you best wishes for the upcoming week. See you soon. Welcome to my colorful world! My name is Julia. I like crafting, crocheting, baking, decorating, creating things by myself and travelling. Feel free to join me in my creative adventures.